Each year Ukraine has more and more harvest of walnuts. This helps our country to become one of the largest walnut producers. There are several reasons for this. First of all, production of walnuts is transformed from household to industrial productions. That is characterized by increasing of industry walnuts tree area. The next reason is the active government support. As of January 1, 2019, the number of private farms in Ukraine decreased by 0.9% from the previous year, according to the State Statistics Service of Ukraine. According to the State Statistics Service, grains and pulses stocks in Ukraine as of March 1, 2019 were 9.4% higher than as of the same date last year. On March 20, the scientific and educational elite of Ukraine arrived in Mykolaiv as part of the fourth round of the All-Ukrainian Olympiad in geography. The guests visited NIBULON shipbuilding and repair yard and the transshipment terminal. The current season features a record gain in rye supplies from Ukraine. So, the country exported 85.1 KMT of rye in July-January 2018/19 that is already 123% more than in the whole of MY 2017/18 (38.2 KMT) and the largest volume since MY 2002/03, reports UkrAgroConsult. In the year 2018, Ukraine significantly expanded the geography of agricultural products exports, having entered 85 new markets, the State Service of Ukraine on Food Safety and Consumer Protection (SSUFSCP) reports. 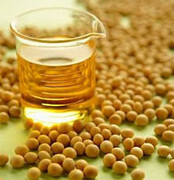 The oilseed crushing plant of Ukrainian agroholding Astarta-Kyiv in Globino district of Poltava region produced 40 KMT of soybean oil in 2018. Last week, the State Statistics Service of Ukraine published preliminary data on the total 2018 harvest of grains and oilseeds. Officially, the harvest amounted to 69.8 MMT. 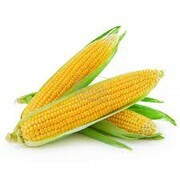 In particular, the corn crop is estimated at 35.57 MMT against the previous official estimate of 35 MMT (24.67 MMT last year).